[www.inewsguyana.com] – A passenger plane has crashed after a failed emergency landing in Taiwan, killing more than 40 people, local officials say. The domestic flight crashed near Magong airport on the outlying Penghu Island, reports said. There were a total of 54 passengers and four crew on board, Taiwan’s CNA news agency reported. Aviation officials said flight GE222 aborted its initial landing and then crashed, local media reported. Transport minister Yeh Kuang-Shih said that 47 people were killed and 11 were injured, CNA reported. The agency previously said that 51 were feared killed, citing fire department officials. 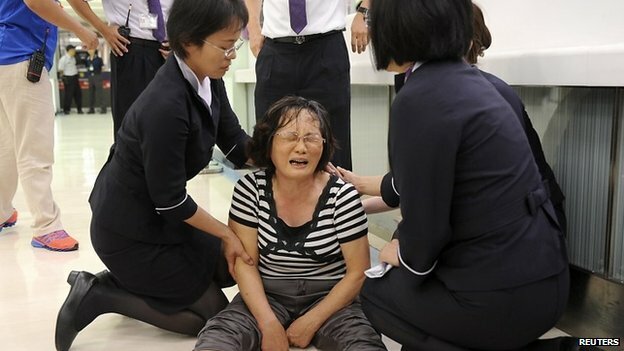 “It’s chaotic [at] the scene,” Jean Shen, director of the Civil Aeronautics Administration, told Reuters news agency. About 200 military personnel have joined rescuers in the search for survivors. Firefighters and other emergency personnel are attempting to rescue those on board. “It was thunderstorm conditions during the crash,” said Hsi Wen-guang, Penghu County Government Fire Bureau spokesman. The ATR 72 turboprop aircraft departed from the southern municipality of Kaohsiung at 17:43 local time (09:43 GMT), but lost contact with controllers at 19:06, CNA said, citing the Civil Aeronautics Administration. The plane was found at Penghu island’s Xixi village in flames, local media reported. TransAsia Airways’ General Manager Hsu Yi-Tsung has tearfully apologised for the accident, the Central News Agency reported, pledging to spare no effort in the rescue operation and to transport relatives of passengers on the flight to Magong on Thursday morning. Earlier on Wednesday, Taiwan was battered by strong winds and rain from a tropical storm, Typhoon Matmo. 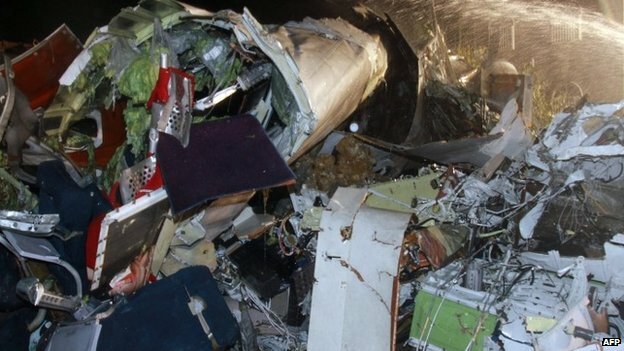 However, an official at the Civil Aeronautics Administration told Reuters that bad weather at the time of the crash did not exceed international regulations for landing.